Because if you're only getting better at team practices, there's no way you'll be able to distance yourself from everyone else you're competing against. Elite Shooter - 1,500 made shots. Good Shooter - 1,000 made shots. Poor Shooter - 500 made shots. Below, I've broken down and provided you with two advanced workouts and one kids workout. While one of the advanced basketball workouts is labeled for 'guards' and the other for 'posts', I would encourage all players (including point guards and centers) to print off and complete both workouts. It's important for players to develop skills which will allow them to play any position. 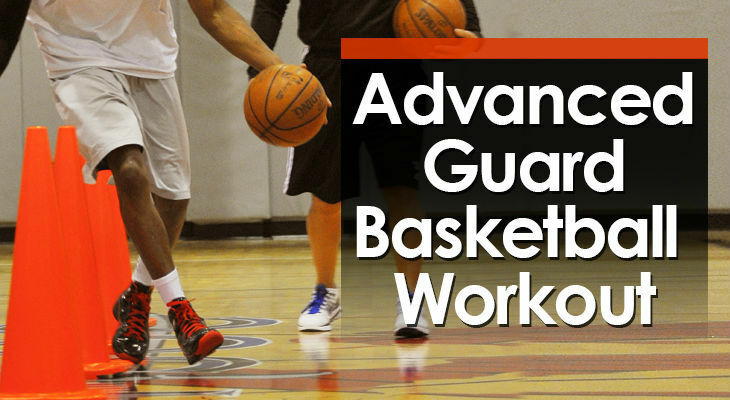 The Advanced Guard Workout is a tough workout consisting of 281 made shots that focus on scoring out of the pick-and-roll, different ways of finishing at the basket, and outside shooting. 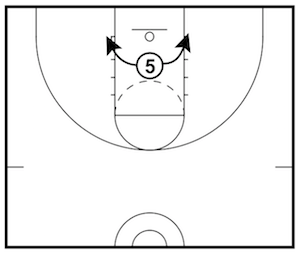 A great basketball workout for all guards. • 10 shots from 3 feet. • 5 shots from 5 feet. • 5 shots from 7 feet. Using your complete free-throw routine, make 5 free-throws. 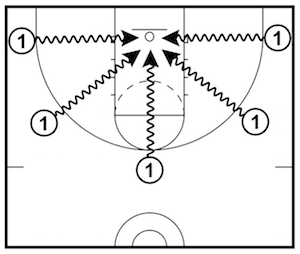 Make 10 shots from three different sets of movements. 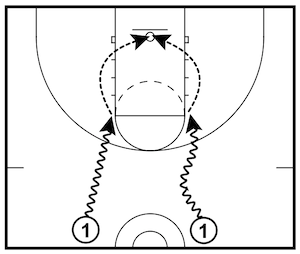 You will have two shooting points for each set, and you must keep switching between them and make 10 shots. 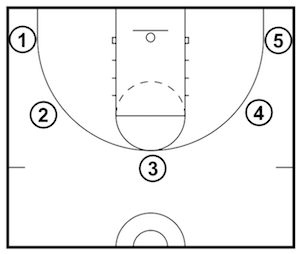 • Set 1: Left corner to left elbow - 10 made shots. 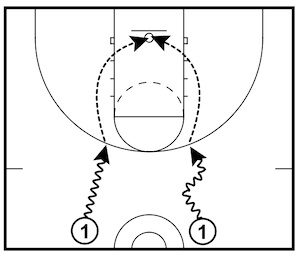 • Set 2: Elbow to Elbow - 10 made shots. 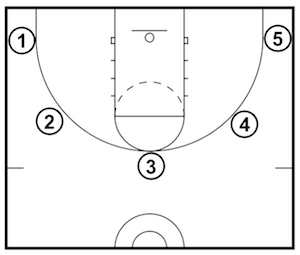 • Set 3: Right corner to right elbow - 10 made shots. 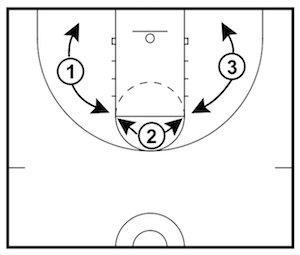 Make 5 shots from three different sets of movements. 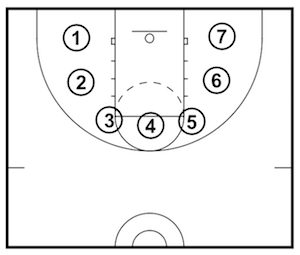 You will have two shooting points for each set, and you must keep switching between them and make 5 shots. 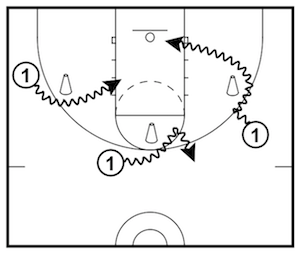 • Left corner to left wing - 5 made shots. • Left wing to right wing - 5 made shots. 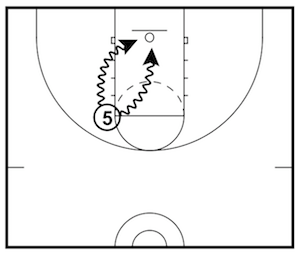 • Right corner to right wing - 5 made shots. 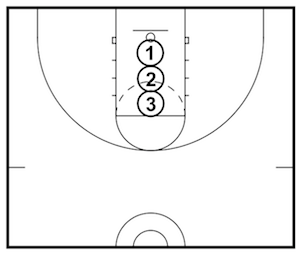 To simulate a pick-and-roll situation, you will make 22 shots out of the PnR from three different areas of the floor. The left wing, top of the key, and right wing. You must make the following shots at each of the 3 spots. • 2-dribble jump shot - 7 made shots. 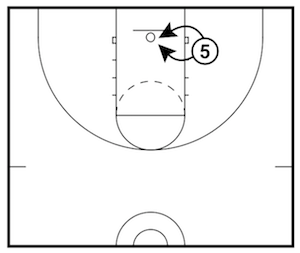 • Step back three-pointer - 5 made shots. • Drive and finish - 10 made shots. During the advanced layup series, you must make 10 layups beginning from outside the three-point line at each of the 5 spots. Make sure you attack the basket! The five spots are: left corner, left wing, top of the key, right wing, right corner. 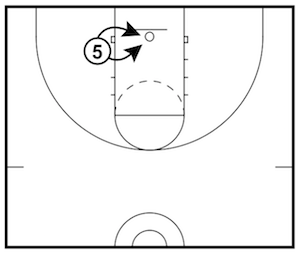 Starting in the left corner, make 5 shots at each of the 5 spots from three-point distance. Starting at half-court, dribble towards the basket at game-speed and make 10 pull-up shots from the right elbow and 10 pull-up shots from the left elbow. 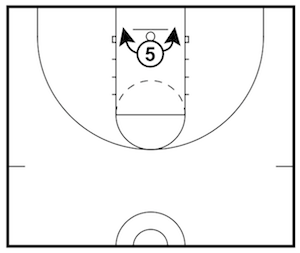 Starting at half-court, dribble towards the basket at game-speed and make 5 pull-up shots from the right wing, top of the key, and left wing for a total of 15 made shots. 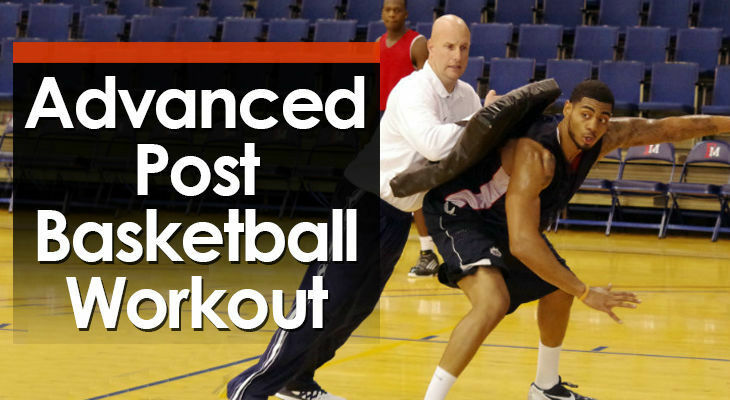 The Advanced Post Workout is a tough workout consisting of 355 made shots that focus on scoring out of the low post, high post, and also incorporates outside shooting. A great workout for all any players that want to improve their post game. 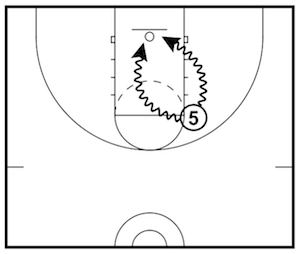 Stand under the basket facing the baseline. Begin on the right side and shoot a right-handed layup. As soon as the basketball falls through the net, catch it while keeping your hands up. Immediately go into a left handed layup on the other side. Stand under the basket with your back towards the baseline. Begin by shooting a layup with your right hand and then catch the basketball high as soon as the shot falls through the net. Immediately lay the ball up with your left hand on the other side. • 10 shots from 5 feet. • 10 shots from 7 feet. Using your complete free-throw routine, make 10 free-throws. Continuous jump shots swapping from block to block until you’ve made 20 shots. 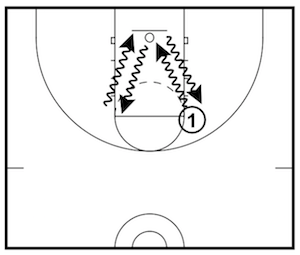 Continuous jump shots swapping from short corner to short corner until you’ve made 20 shots. Continuous jump shots swapping from elbow to elbow until you’ve made 20 shots. • Shot fake, 1-dribble layup. 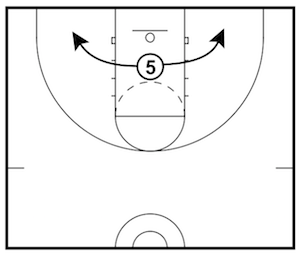 • Shot fake, 1-dribble spin layup. 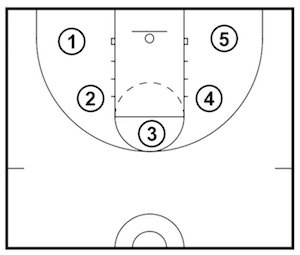 Starting in the left corner, make 10 shots at each of the 5 spots from midrange distance. 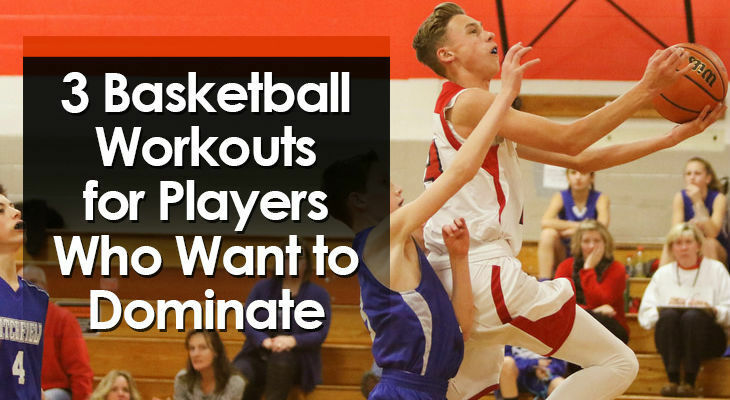 This kids basketball workout is created for players who aren’t capable of shooting from outside of midrange yet. 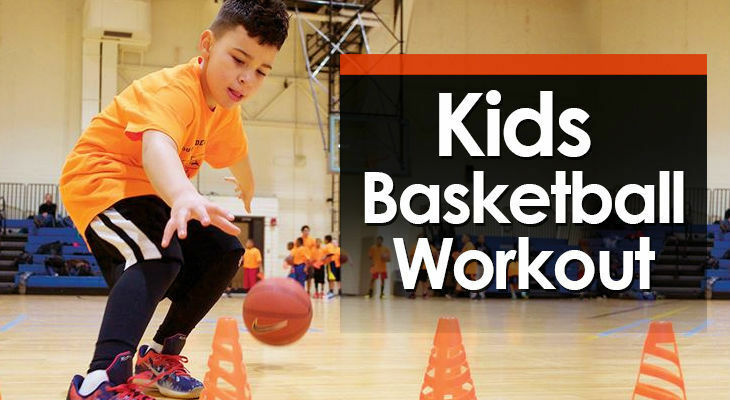 With only 83 made shots, it’s a fun and quick workout for any young kid that loves basketball! X-out layups works on finishing at the ring with both hands. 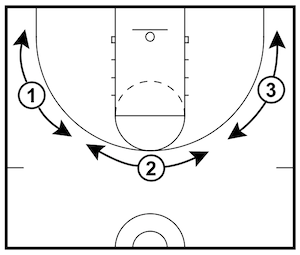 Player starts on the right elbow and then dribble in and make a right-handed layup. They immediately rebound the basketball, dribble out to the left elbow, and then dribble in for a left-handed layup, then they rebound and dribble out to the right elbow again. Continue this until 10 made layups. During the layup series you must make 6 layups beginning from outside the three-point line at each of the 5 spots. The five spots are left corner, left wing, top of the key, right wing, right corner. A fun game competing against Steph Curry shooting free throws. Begin the challenge on 10 points. For every made shot, you add two points to your total. For every missed shot, you lose one point. If you make it to 20 points, you win. If you end up on 0 points, you lose. Make sure you use your full routine every time you step to the free-throw line. 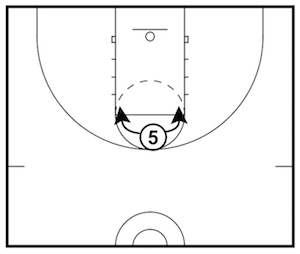 Starting in the left corner, make 3 shots at each of the 7 spots from midrange distance.